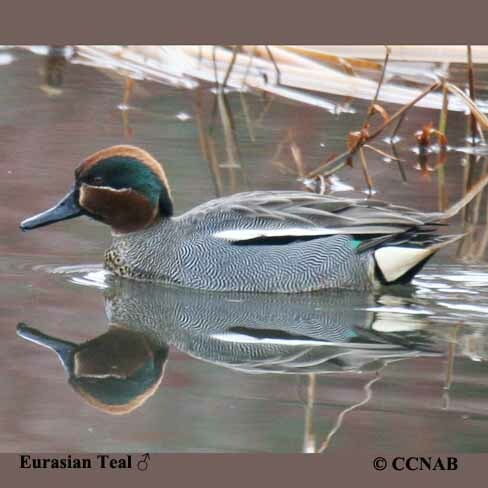 The Eurasian Teal, also known as the Common Teal, is a vagrant teal that is found on the east and west coasts of the North American continent. 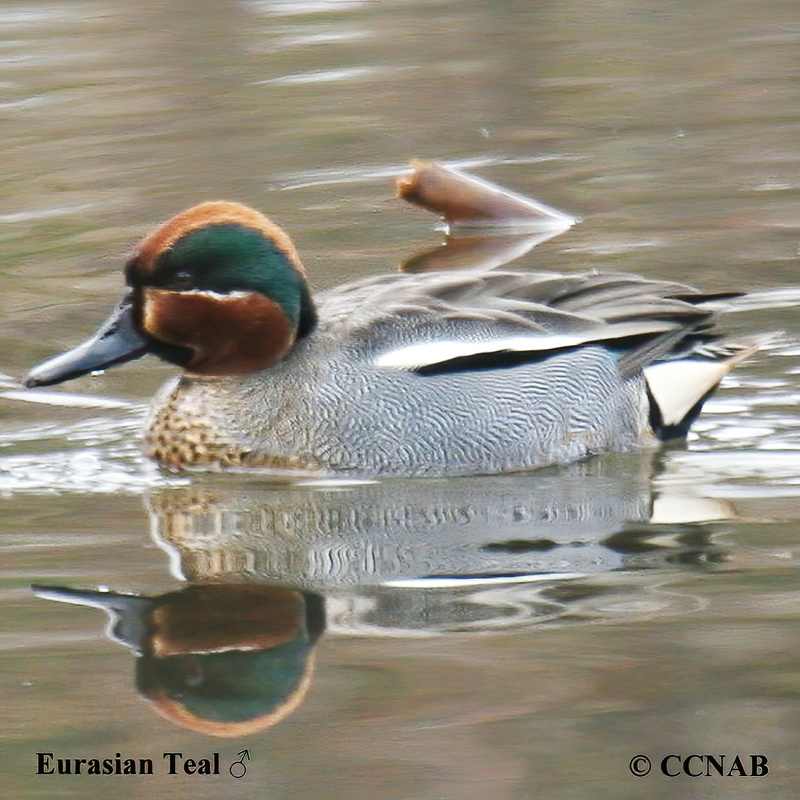 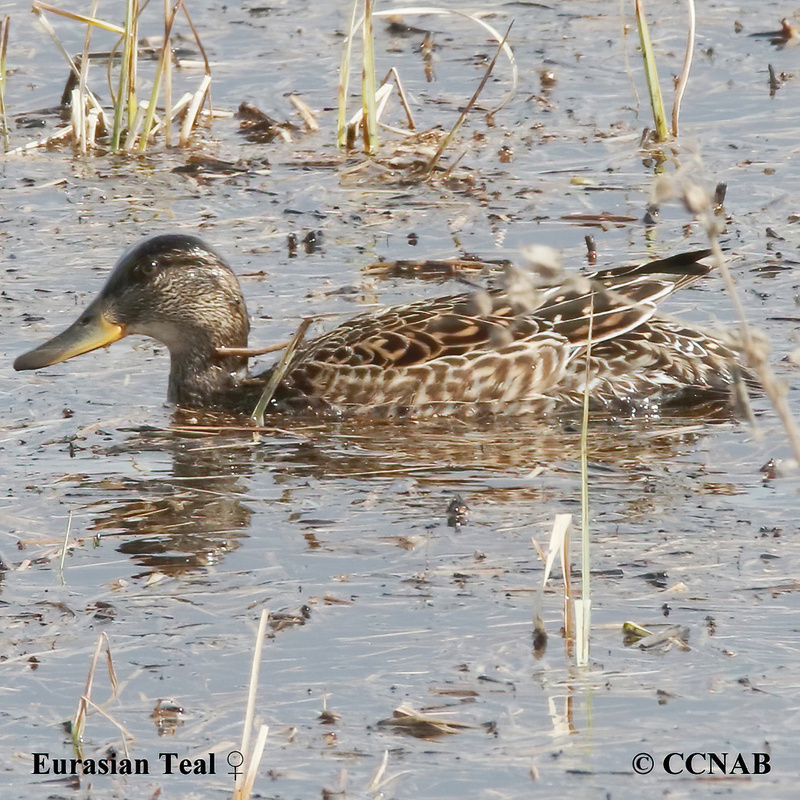 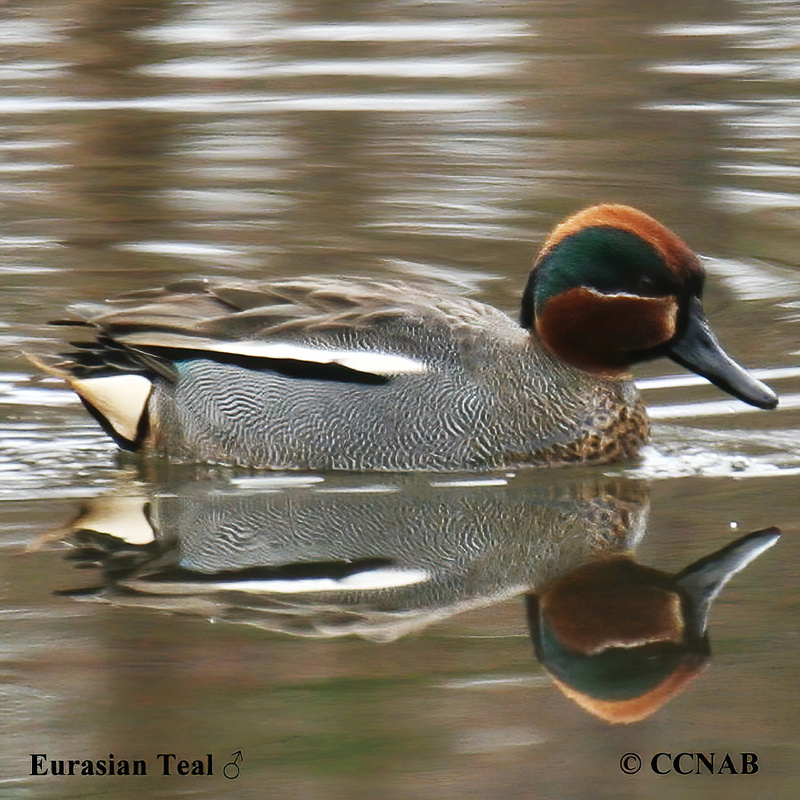 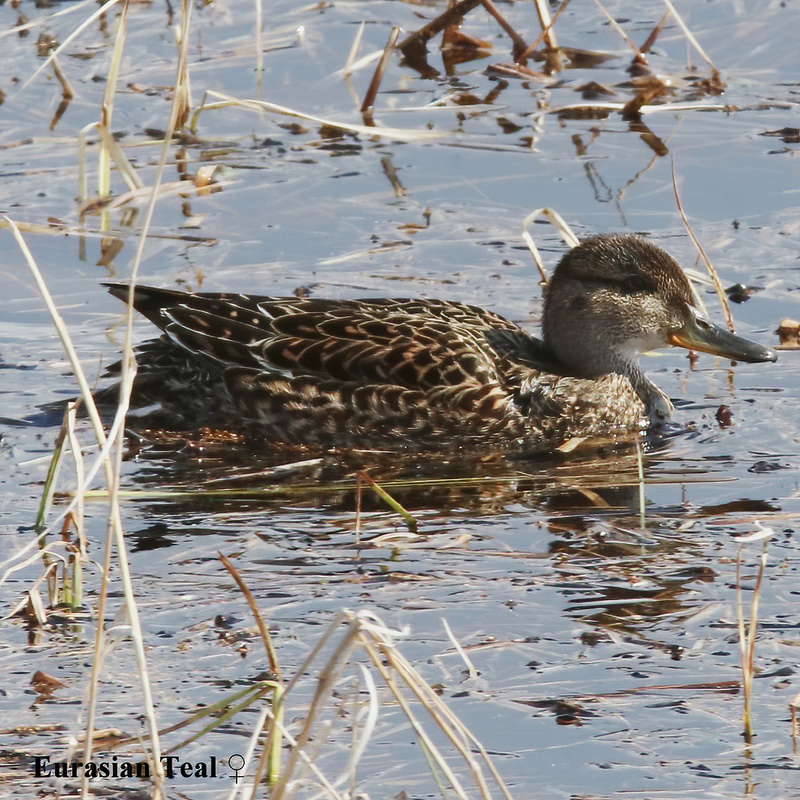 This teal is a sub-species to the native Green-winged Teal seen in North America. 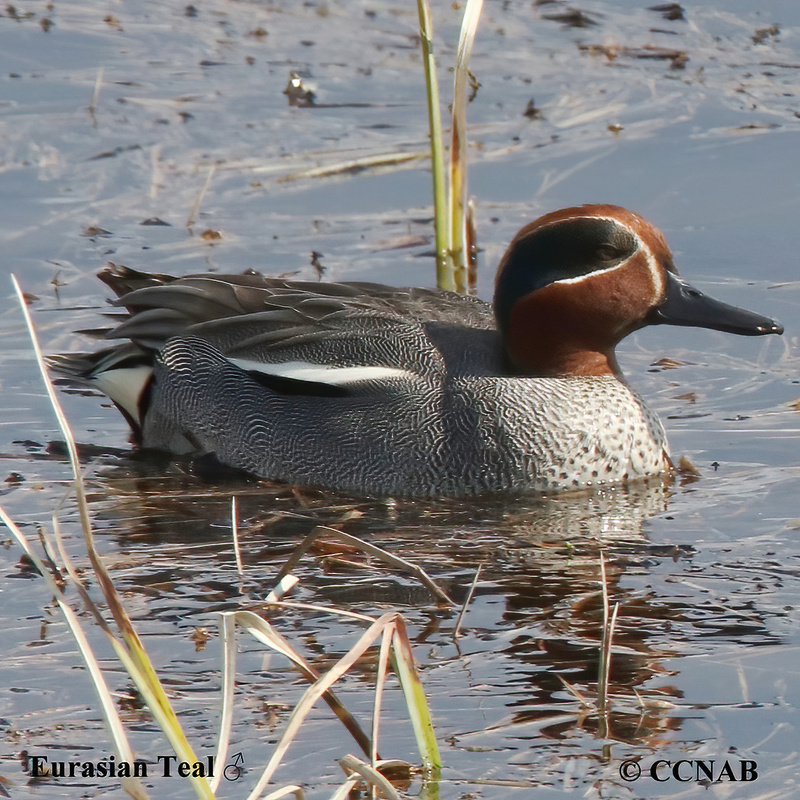 The only apparent difference is the lacking of the vertical white stripe on the front of the male's breast.